Joie Jager-Hyman is a former Ivy League admissions officer and author of Fat Envelope Frenzy: One Year, Five Promising Students, and the Pursuit of the Ivy League Prize. In her book, she chronicles the lives of five very different students as they navigate the world of selective college admissions while providing her expert insight into the diverse variables that factor into whether or not a hopeful college student is accepted. 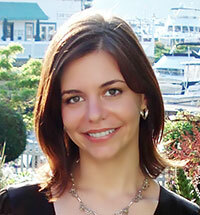 Jager-Hyman was a former Assistant Director of Admissions for Dartmouth College, where she worked from 2000-2002. During that time, she read and evaluated over one thousand applications for undergraduate admission and interviewed hundreds of prospective students. She also traveled extensively, speaking to large audiences of students, parents, and counselors about the undergraduate admissions process. She is a perfect speaker for high schools, parent groups, and corporations seeking to demystify the college admissions process. 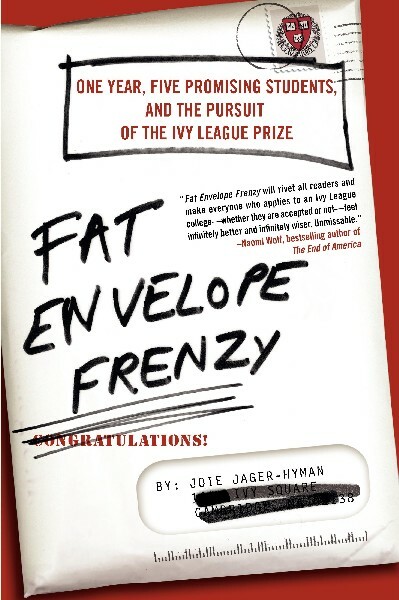 In talks and in her book, Fat Envelope Frenzy, Jager-Hyman reveals what it takes to obtain the sacred “fat envelope” and what happens to the talented students who don’t get into their first-choice schools. She looks at all aspects of the admissions process from test scores and test prep to dynamic extra-curricular activities that stand out. Jager-Hyman doesn’t give bogus “how to” advice, but instead takes a holistic approach to understanding American college admissions by explaining the history behind the process and the different social forces at play today. After leaving the Dartmouth Admissions Office Jager-Hyman began her graduate work at the Harvard Graduate School of Education, where she is currently pursuing a doctorate in Education Policy Management with a concentration in higher education. Her academic research focuses on policies that promote access and persistence in higher education for low-income students. In addition, she was a Consultant for the Advisory Committee on Student Financial Assistance, a bipartisan federal advisory committee for which she presented findings from her research in testimony at a Congressional hearing on Alternative Pathways to Baccalaureate Degree Attainment in April 2006. Jager-Hyman has also worked with several schools, after-school programs, and nonprofit organizations advising them on issues related to college access and success for low-income youth. A writer specializing in topics related to youth and education, Jager-Hyman’s first book was well received by the popular press including the New York Times Book Review, Wall Street Jounral, and Boston Globe. She has written opinion pieces for the New York Post, Women’s eNews and Metro, the world’s most highly circulated newspaper, and has lectured widely on making the transition between academic and popular writing. She blogs for the Kaplan company’s website and writes a weekly column called “Kidz Today” on crucialminutiae.com, a respected e-publication by a group of up-and-coming writers.